OK, what did I do wrong? Obviously I did something incorrect in the cut 'n Paste above. It's a Meme for "What Legendary Japanese Monster Are You?" Re: OK, what did I do wrong? Hrm. You've got the table define and end tags, and it looks like you have everything in between as well. 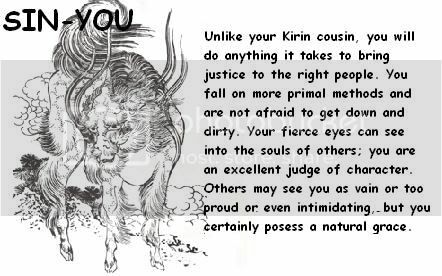 I'll try taking the meme and paste my answer here (I'm apparently a Kirin) and see if it gets mangled the same way. I don't understand why the 'Element' menu is coming out wrong.